There were two Korematsu Day observances last Saturday. I attended the one in Pasadena. Wendy Anderson, the producer of the morning program, noted that Pasadena was the first city to officially observe the birthday of Fred Korematsu after it was designated by the State Assembly through the efforts of Assemblyman Warren Furutani. After the mayor of Pasadena, Bill Bogaard, and a number of other dignitaries, including Congresswoman Judy Chu, spoke in support of the special day, Karen Korematsu spoke eloquently about her father. Many years elapsed from the time he was arrested for not going to camp until he was exonerated in 1983. In 1982, Aiko Herzig Yoshinaga discovered evidence that the government had withheld evidence that could have been used in Fred’s favor. Peter Irons of UC San Diego pursued the case, which was doggedly carried forward by the Asian Law Caucus headed by Dale Minami. From Karen’s remembrances of her father, it was plain to see he was someone who had the traits necessary to stay with his long ordeal through the courts. He was convinced his rights were violated and insisted on justice. Many survivors of the camps did not talk about the experience with their children. For a different reason, Fred was no exception. Karen found out about her father’s refusal to go to camp one day when her friend made a report in her high school class about camp and Fred’s name came up. I say for a different reason because while others did not want to talk to their children about going to camp, at least theirs was a shared experience. Fred kept it a secret from Karen because of the stigma carried by someone who stood alone; his action alienated him from those going to camp. A DVD telling Fred’s story was shown after Karen’s presentation. The part that caught my attention is where it revealed how he was rejected by the inmates he encountered when he was caught and sent to Tanforan, and then Topaz concentration camp. 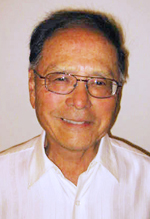 Last year, at the Pasadena Korematsu Day program, Yukio Kawaratani shared the hurt and anger he felt in being a so-called “no-no” whose parents had given this answer to the loyalty questionnaire, which resulted in him and his family being banished to Tule Lake. Since that time, Yukio and I have gotten together, along with Tule Lake scholars Barbara Takei and Martha Bridegam, to discuss how we can bring about some sort of healing of the pain experienced by many, such as Yukio, who were incarcerated in Tule Lake. Wendy Anderson allowed Yukio and me to make a presentation about this topic. We collaborated on a resolution asking for an apology from JACL for their rejection of the Tule Lakers. Before the day’s program started, I mentioned to Karen what we had in mind and asked if she wished to read the resolution. What followed was something I will always remember. After reading the resolution, Karen turned to me, and with tears in her eyes, hugged me. In thinking about this, I fully realize that during time of war, there was no way JACL was going to excuse anyone who did not comply with their advice to go along with the “evacuation” to prove our loyalty. And, carrying that forward, there was no way JACL could support those who did not respond positively to the loyalty questionnaire. This rejection by JACL resulted in this long-standing discrimination against the dissenters initiated by our government, but supported by JACL. Taking all of this into consideration, I feel strongly, after these many years, that there needs to be reconciliation. I was encouraged by the applause the resolution containing the apology received when I read it at the end of our presentation Saturday. I intend to introduce it to the Pacific Southwest District Council of JACL for their concurrence before submitting it to the National JACL Board for their approval at their conference in Washington, D.C. this July. C’mon, Phil. At this late date, who really gives a damn about any JACL apology? History has already written the ‘CL’s epitaph. As a prime apologist for the group, you’ve been doing damage control for the last 45 years for an organization whose reputation is beyond recovery. Enough!